Carbondale, CO (January 11, 2016) – Marble Distilling Co. received the highest award – a Masters Medal – for Green Initiatives from the Global Distillery Masters 2017. The Global Spirits Masters series produced by UK-based The Spirits Business has long celebrated the international spirits industry and created the Global Distillery Masters to celebrate the achievements and innovations of the distilleries themselves, beyond their spirits. The judging panel awarded Master, Gold & Silver Medals in five categories. 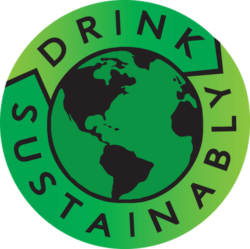 Marble Distilling Co. received the highest award, The Masters Medal, and was the highest scoring entry in the Green Initiatives category which awards distilling innovation for minimal environmental impact and sustainable processes. “To Drink Sustainably is at the core of Marble Distilling’s business model and we strive to be pioneers of sustainable distilling.” Said Co-Founder & Head Distiller, Connie Baker. MDC’s innovative Water Energy Thermal System (WETS™) saves both energy and water by recirculating and storing heat and coolth (cold water) for the distillery process as well as heating and cooling the building, rather than dumping hot water and energy down the drain. 1.8 Billion BTUs (enough energy to power 20 homes annually) and 4.1 million gallons of water are saved each year through this innovative process. The WETS™ system harvests the heat from the distillation process through a series of pumps and heat exchangers and stores the heat in a 5,000 gallon thermal storage tank. A companion cool tank, with 5,000 gallons of water that has been cooled overnight from the low nighttime mountain air temperatures is used for the cooling processes. In addition, all grains are sourced locally & all stillage from MDC’s distillery is sent to local Carbondale ranchers. “We are the only zero-waste distillery in the world and are truly Grain to Glass to Ground” said Baker. This is not the first sustainability honor for MDC, The United State Department of Agriculture (USDA) has also recognized MDC’s leadership in green initiatives and sustainability and awarded a Rural Development Grant supporting the engineering and installation of the WETS™ system and a 4.85KW photovoltaic system. The U.S. Green Building Council of Colorado awarded MDC the Exceptional Implementation of Sustainable Technologies award for the WETS™ system and for exceeding the International Green Construction Code. The MDC building is one of the first major commercial buildings to meet the requirements of the International Green Construction Code in the town of Carbondale, Colorado. The building goes above and beyond the requirements of the Green Building Code – a zEPI (Zero Energy Performance Index) rating of 6.98 – compared to the minimum required by Carbondale for the IGCC of 47. The building is 85% more efficient than local code requires. 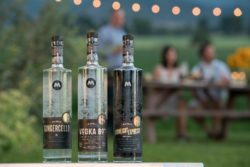 Located in the heart of Carbondale, Colorado’s Creative District, Marble Distilling Co. & The Distillery Inn is a family & friends owned craft spirits distillery, tasting room and luxury inn. The only distiller in the world to use the world-famous marble stone as a filtering agent, MDC currently offers four spirits – Marble Vodka, Moonlight EXpresso, Gingercello & Gingercello Reserve (Whiskey & Bourbon for future release). The Distillery Inn is the first and only inn in the world to be housed within an operational distillery – guests can “Sleep with the Stills”. The Distillery Inn offers luxury accommodation, with five sophisticated, contemporary rooms. For more information or to make a reservation call (970) 963-7008 or visit www.marbledistilling.com. Google+: https://plus.google.com/+Marbledistillingco/posts and Visit our YouTube Channel: Marble Distilling Co.